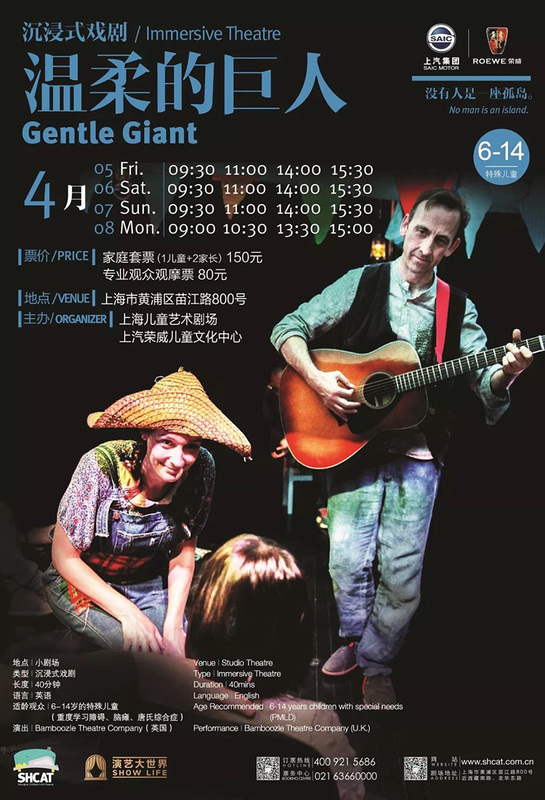 Bamboozle adapts Michael Morpurgo’s enchanting Scottish fairy tale story, the Gentle Giant, into an immersive, multi-sensory experience for children with learning disabilities. The eponymous gentle giant, rejected by the locals in the nearby fishing village, lives on an island in a beautiful lake. It's a lonely life, but one day, he rescues a girl from drowning. The girl and the villagers see the giant’s true nature, and the error of their ways, and we join them in a celebration of newfound friendships and overcoming prejudices. This 40-minute performance is suitable for children with special needs (PMLD) aged 6-14 years.